If you follow me on Instagram, you’ll know I recently in Miami, Florida. 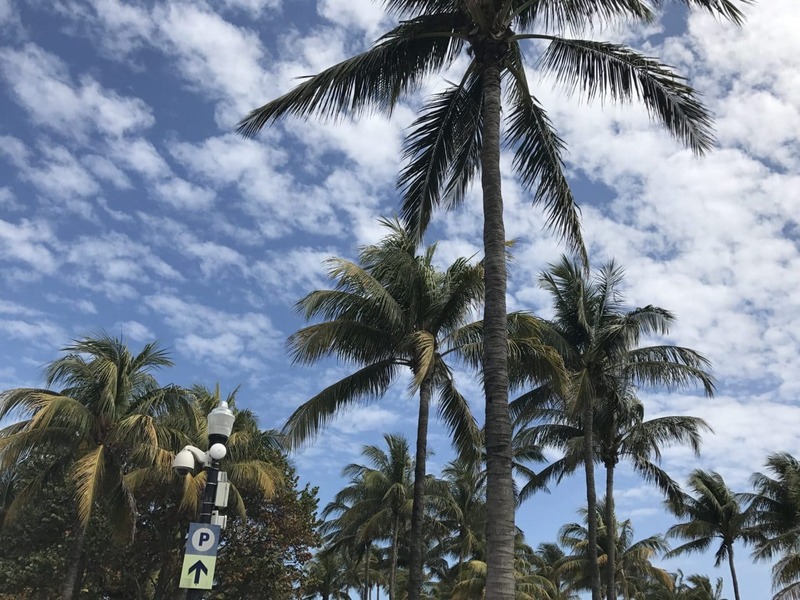 This amazing city has many different areas to visit, so it can definitely be overwhelming when choosing somewhere to stay.In such a large and busy city, location is everything when considering where to stay in Miami. During my trip I stayed at Circa 39, which is located on 39th Street and Collins Avenue across the street from the ocean. Circa 39 blends contemporary design and modern facilities with subtle tropical influences – bright colours such as lime green and citrus, beachy rattan furniture, vintage travel posters and photographs from around the world. . The room included a small fridge, an in-room safe, a flat screen TV, ample storage space, and a coffee maker. The bathroom was spacious and clean, with striking green tiles and a large shower. Deluxe Aveda toiletries were included. There’s also an Aveda spa on site, should you wish to relax and pamper yourself. At the end of each day I always try to allow some time to relax back at the hotel and unwind from the days activities. With a restaurant and bar on site, the swimming pool, and access to the beach, Circa 39 is more than just a hotel. If you want to explore Miami’s most famous street “Ocean Drive”, it’s about a 10minute drive from the hotel. During the day it’s a nice relaxing place to walk in front of the beach, there’s a nice walkway. There’s a LOT of restaurants, bars and cafes. At night it’s very busy and loud, a lot of drinking, partying at the night club, dancing and having fun. There is so much to discover in this amazing city and I can’t wait to be back. Until next time, Miami!